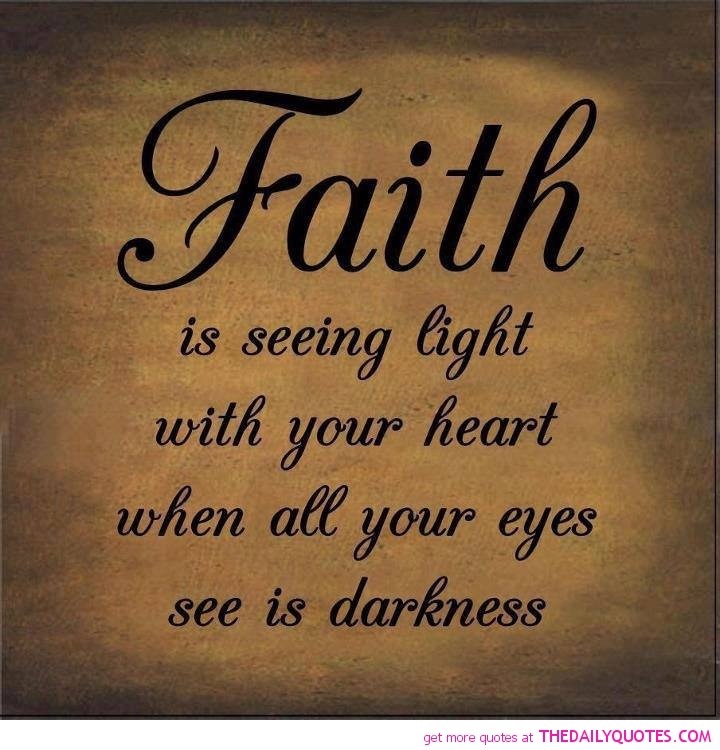 Faith: the light that enlightens out paths, the rock that holds our backs, and the center of our heart. Without faith we cease to believe, cease to hope, and cease to be. Faith in a stronger God, a mightier God, and a merciful God. Faith in the good and the positive. Faith in knowing that things happen for a reason, that life is worth something, and that your life is not in vain. Knowing that someone is loving you for you. Knowing that God listens to your heartbeat, listens to your wishes, and understands your every thought. Knowing that brings peace and comfort to your soul. Knowing that life is not created by coincidence, but by a higher power with reason. Knowing we are living for a reason, that there are givens in our lives, and a path created for you. Choices made just for you and paths chosen by you with God holding your hand in every step.